Neuroplasticity, or the brain’s ability to modify its structure and function at all levels, is variable over the course of life. Although it is most pronounced during early development, there is a growing consensus that a remarkable degree of flexibility is retained even during adulthood. 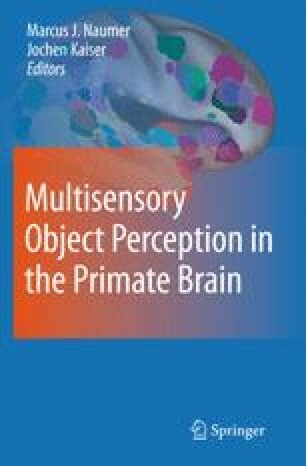 In this chapter we explore the topic of brain plasticity, with special emphasis on large-scale plasticity following sensory loss and the potential for later rehabilitation. We concentrate on vision and blindness because visual functions, which are so important to humans, are subserved by vast parts of the cerebral cortex which become substantially reorganized to compensate for the lack of vision. This compensation manifests itself in different types of neuroplastic changes reflected in the altered cognitive functions and abilities observed in the blind. Understanding and controlling the mechanisms underlying these changes can have major clinical implications, as these may strongly influence the outcomes and success rates of visual rehabilitation. Currently the best hopes for regaining functional vision are provided by rehabilitation methods employing sensory substitution devices (SSDs) which supply visual information to the blind through other (auditory or tactile) modalities, and more invasive sensory restoration techniques which attempt to convey visual information directly to the visual pathways. These techniques can be exploited fully only through a solid understanding of the effects, maximal potential, and limits of brain plasticity. By attempting to send visual information to a “visual” cortex that has already been reorganized following the onset of blindness and teaching this area how to “see,” these methods rely on our ability to understand, channel, and control the mechanisms which enabled the brain to make its original adaptation to lost sensory input. Andreja Bubic and Ella Striem-Amit contributed equally to the chapter.